Yann Ehrlacher not only managed to pull off a superb save, but it didn't even cost him anything! In F1, we’ve seen Charles Leclerc recover 360 spins on a couple of occasions. 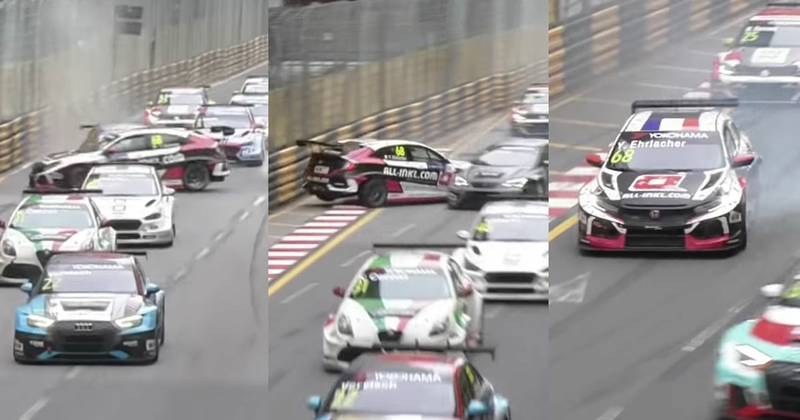 Both were impressive, but given the context of the situation, we think this nifty pirouette from World TCR driver Yann Ehrlacher at Macau just edges it. On the run down to the Lisboa turn, Ehrlacher was in the middle of a pack of cars when he was tagged under braking, pulled off a complete 360-degree spin, brushed the wall, and kept going. Pretty neat, right? Not only did he recover from it but because he’s on the inside, he was perfectly placed to capitalise on traffic jam on the outside and doesn’t even lose any places. Yup, that’s definitely worthy of being on the shortlist for save of the year!